Looking for a professional book layout designer and typesetter? Erik is possibly one of the world’s most respected book designers and typographers, so he knows what he’s talking about. Layout design, or “typesetting”, is an often underestimated step of the publishing process. It requires both a sophisticated aesthetic and great attention to detail. There are a lot of layout decisions in a print book that will influence the way readers experience your content: fonts, spacing, styling of chapter headings, margins, etc. A book layout designer will take care of this for you and produce a print format in accordance with the expectations of the readers of your genre. Of course, the more varied the book in terms of content (charts, illustrations, photos, recipes, poems, etc. ), the more important the work of the typesetter. But where can you find a professional typesetter with the right experience to turn your manuscript into a beautiful book? I'm a book designer with over ten years experience. Before turning freelance, I was Fiction Art Director at Hachette Children's Books. Is typesetting just for print books? Digital formats have standard layouts that offer flexibility to the reader. With Ebook formats however, the author has less control over the font style, size and spacing, as any adjustments made can be overridden by the reader. While this reduces the scope of the work for a traditional book layout designer, it also means that you need to produce perfectly-formatted electronic files: an .epub for all the main e-retailers (except Amazon), and a .mobi for Amazon. A badly formatted file will create an unreadable book. 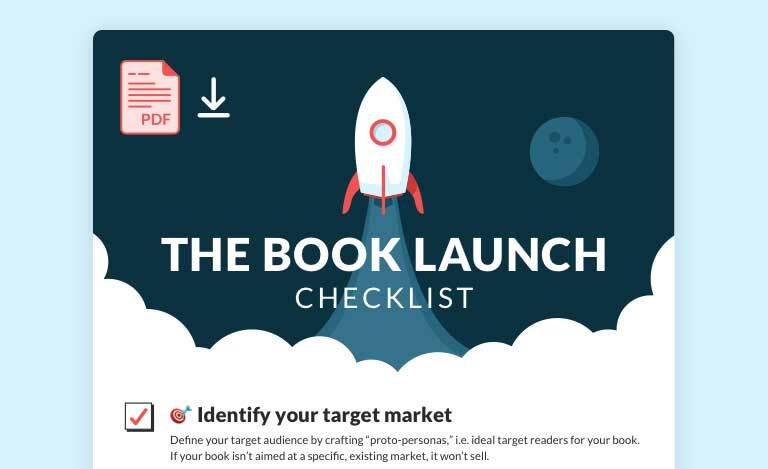 This formatting and conversion process changes in complexity depending on your book: bulleted lists, charts, tables and graphics all need to be accommodated for so that the reading experience is not compromised. Isn’t formatting something I can do myself? A few years ago, ebook formatting was something that you had to learn to do on your own, through a lot of trial and error. Similarly, print layout design required knowledge of InDesign software, margin and spacing best-practices, fonts and typography, etc. 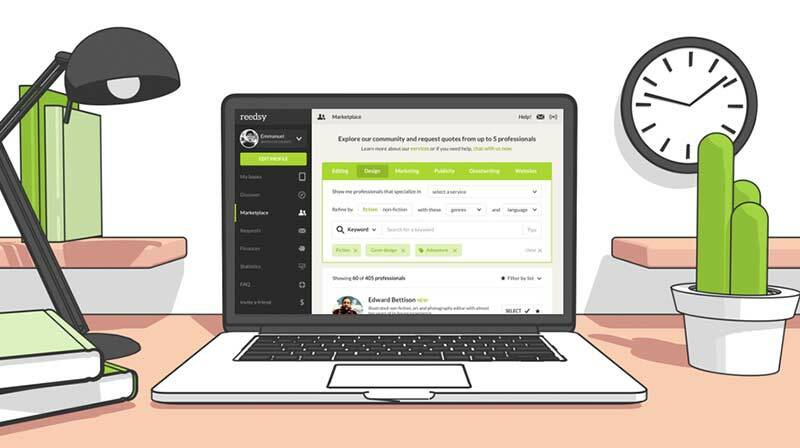 Since the release of our Reedsy Book Editor, the game has changed. You can now produce clean .epub and .mobi files for free in a matter of seconds. With our available print templates, you can also produce perfectly typeset, print-ready PDF files, just like a professional designer would. However, our Reedsy Book Editor does not yet cater for every single case scenario. If your book contains special elements such as tables or graphics that cannot simply be embedded as images, or if it requires a complex layout with text flowing around images (e.g. cookbooks, photo books, etc. ), we strongly recommend you hire a professional typesetter to organize its layout. Moreover, as you can read below, it can be a good idea to not follow our existing templates, and have custom ones made for you instead — you’ll need a proper typesetting professional for that. 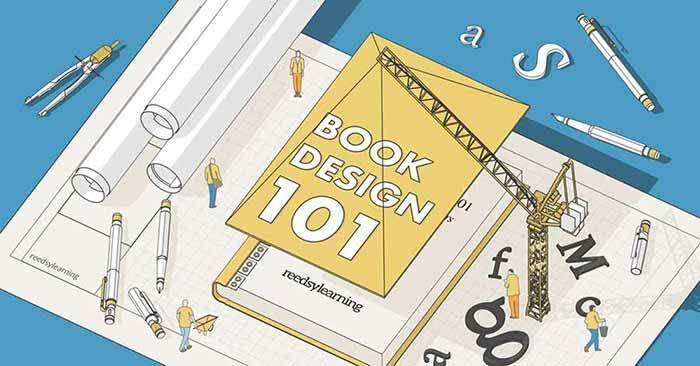 Book layout design doesn’t have to be a burden. Like typography, layout represents an opportunity for every author and publisher out there to differentiate themselves and establish a brand. 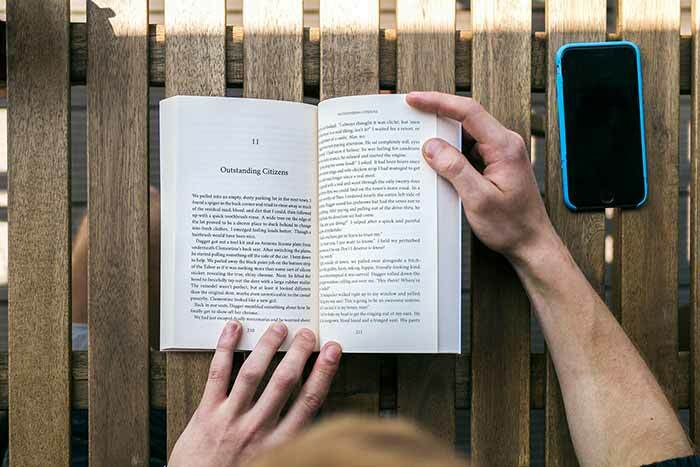 Though digital formats have somewhat standardised layouts and reduced possibilities to stand out from the crowd, print books still dominate the market and offer countless experimental possibilities. Here are two examples of authors who took advantage of these and pushed the boundaries of what is now possible.